A TUTV sports talk show featuring four Temple students debating current sporting events. After a low-scoring, boring Super Bowl game, Tom Brady gets his 6th ring, much to Eagles fans’ chagrin. With wins over Tulane and UConn, Temple Men’s Basketball hopes to get into the AAC tournament and the NCAA tournament after missing out on the Big 5 title. The Sixers are 34-20 and have made several trade deals recently. 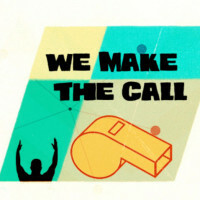 Tara Miler, Adam Crognale, Kevin Rice, and Hanwook Wan discuss all this and more on We Make The Call.